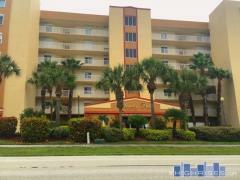 Almar is a 5-story mid-rise condo building in Cocoa Beach with direct beach access. Other amenities at Almar include an outdoor swimming pool, garage parking, and private balconies. Have any comments or questions about Almar Condominiums? Ask your question and/or share your thoughts about this Building.